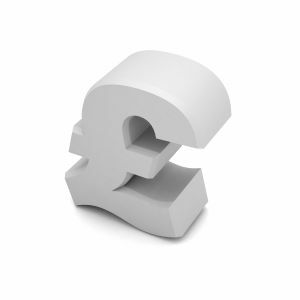 The total value of payments in the UK economy fell 0.6% in the second quarter of 2010, according to the latest data from the Payments Council. Cheque usage dropped by £21.5bn, down 10% compared to the same period in 2009 as businesses and consumers switched to faster and more convenient electronic payments and cards. Every day of the quarter, on average a staggering 290,000 fewer cheques were written than the year before - over three fewer per second. The use of debit cards (paying for goods and services) and Faster Payments (for transferring money between accounts) took up all the slack left by cheques. Debit card usage rose £7.9bn year over year, up 12.4%, while Faster Payments increased £16.9bn, a dramatic 67% rise as more banks made the service available to their customers, and consumers, and increasingly businesses, took advantage of being able to make instant transfers of their money. Debit card usage also ate into cash payments. The amount of cash withdrawn from cash machines (a proxy for the amount of cash used for transactions) was £1.6 billion lower than in the second quarter of 2009, a decline of 3.2%. Credit card spending was also weak, rising just 3.9%, barely ahead of inflation. This reflects credit constraints and a continued migration to debit cards. Over the period, the amount spent on credit cards was matched by the amount paid off as consumers shied away from loading up on additional borrowing. Credit card repayments rose by over 7% when compared to Q2 2009, averaging over 99% in terms of the amount of debt repaid. The number of CHAPS payments, which are commonly used for large banking and commercial transactions including house purchases, is slowly increasing. The fall in values, now at an annual rate of 12%, is due to a partial return to normality for the financial markets after the banking crises of 2007-8, which caused a surge in value. A £70bn increase in Bacs, plus the growth in Faster Payments, can be seen to reflect a recovering economy. Sandra Quinn, director of communications said: "The payments revolution continues apace in the UK. Cheque usage is shrinking dramatically, while credit cards hold less appeal for consumers and businesses. We use cash less where there is an easy alternative, but we’re years away from cash falling out of fashion. Debit cards are taking over our daily purchases, while Faster Payments are fast becoming how we transfer our money electronically. "The overall payments figures show a distinct lack of energy in the UK economy. The recovery may be underway, but total payment values are not suggesting a dramatic return to strong growth." The big events of the first half of the year had a clear impact on card spending, particularly on how Britons got around. The travel industry suffered unprecedented disruption as first the harsh winter, then the BA strikes, then the ash cloud caused thousands of flight cancellations and deterred huge numbers of travellers from booking tickets. Card spending on airline tickets fell 7% in the first half of 2010 compared with the same period in 2009. Between April and June it plunged 13%, as the skies were closed by the Icelandic volcano. Airlines collectively lost £174m in sales in those three months, compared with the same three months of 2009. Airport shops suffered even sharper declines in sales. Revenues dropped by almost one fifth (18%) in the first half as the huge fall in the number of travellers left the airport concourses empty. Spending on rail, bus and sea transport rose 8%, 14% and 16% respectively, when comparing the first six months of 2010 with 2009, as travellers sought alternative routes. A £29m increase in spending on cards at the UK’s campsites in the second quarter suggests that 2010’s early hot summer encouraged people to enjoy the great outdoors too. Meanwhile, there are winners and losers from the World Cup too. Supermarkets saw spending rise 7% in June compared with last year, while pubs enjoyed a one-fifth increase in pints paid for on cards. Even off-licences were given a temporary reprieve from their long trend of falling sales. Spending there rose 1% in contrast to the usual monthly declines. DVD stores suffered, however. They took 31% less in June 2010 than June 2009 as football dominated the country’s viewing. Quinn continues: "Many of the big events of the year can be traced through our spending patterns. The air travel industry has had a really tough year; three holiday companies have gone bust this Summer alone and we have seen a fall in spending on airline tickets and airport shops. The question is whether we can expect more of the same as consumers have arguably moved away from booking packaged holidays."